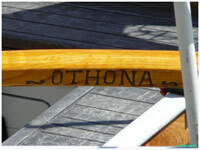 Othona*, one of our missing boats has been found, fully restored, in Marseillan, France. The above photograph shows her as she is today. 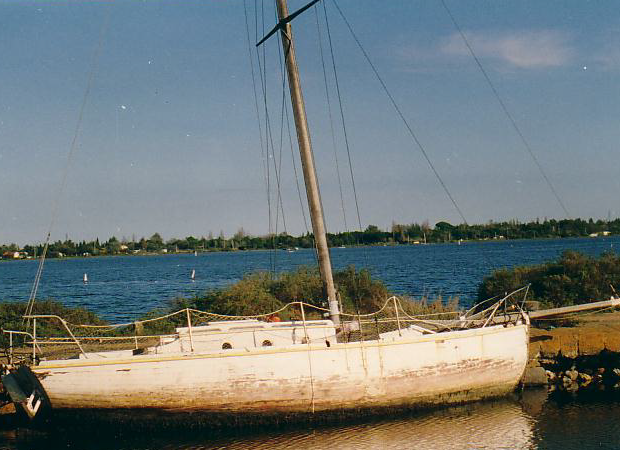 In 2001 she sunk in the Canal du Midi, and there remained for three years until rescued by her current owner, André Tobal. She was in a shocking state as the following photograph shows. Her restoration took André three years, from 2004 to 2007. 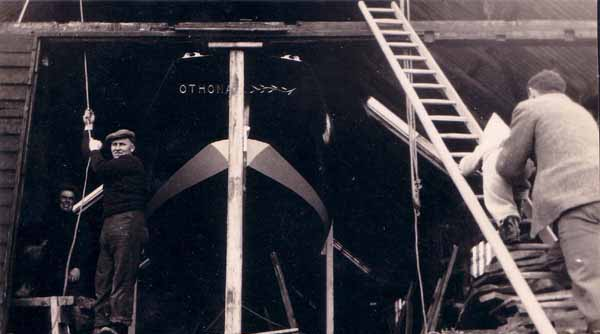 In June 2016, a set of six photographs were unearthed from 1937, showing Othona under construction, being launched, and having her first sail. From these I have selected the one in which her name is clearly visible on the stern, sticking out of the shed in which she was built. The Roach Sailing Association holds the original copy of this photograph which was given to them by Barbera Quillam.